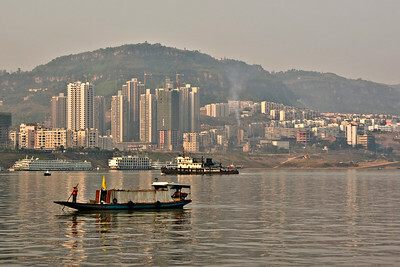 Wenzhou is a Yangzi River city that started to become swallowed by the rising waters of the Three Gorges Reservoir. But it's a working city, and this sampan provided a great foreground for this view looking back as we continued on our cruise down the river. 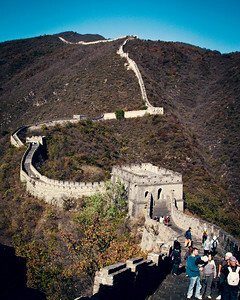 China 2008. 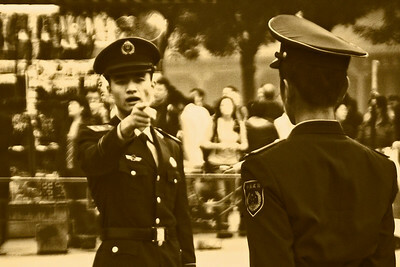 I often wondered if this Chinese soldier was actually looking at me and what he was thinking. 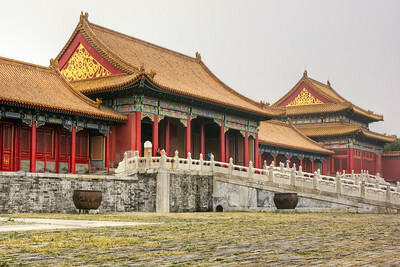 This was at the Beijing Forbidden City in 2008. This is another view of the new towers being built in the city of Wanzhou, which was gradually raised out of harms way as the Three Gorges Reservoir water level gradually rose. 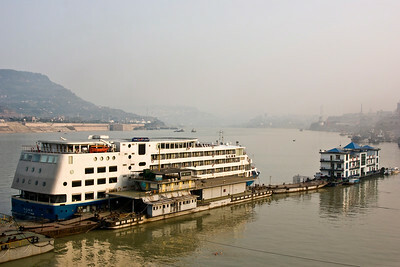 This was on the Yangzi, 2008. An opportunistic shot and without a subject of any real note - more of a candid not he busy streets of Hong Kong, as we ambled by and the tourists bustled around us. 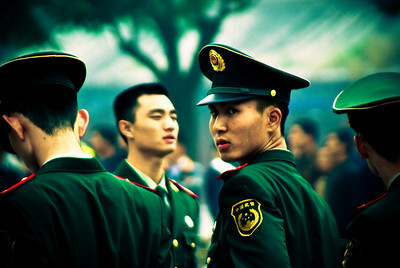 China, 2008. 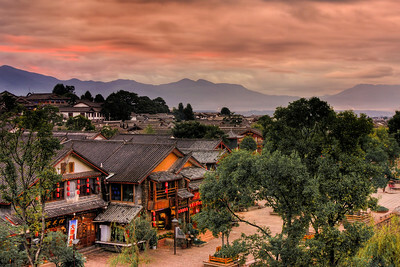 This was the sunrise view from our hotel room in Lijiang, Yunnan Provicne, China, 2008. It is actually a UNESCO World Heritage Site, and you can get a sense of this from the beautiful and quaint architecture on display. 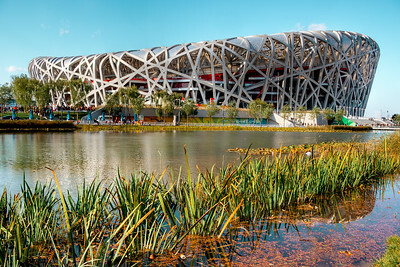 A real gem of apace in deepest China. 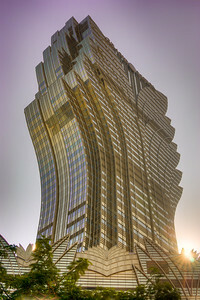 The Grand Lisboa Casino sticks out like a sore thumb, perhaps literally, in Macau, China. In 2008 it would certainly appear somewhat unique, but i wonder what it looks like today - perhaps a few odd looking friends have sprouted in the meantime. 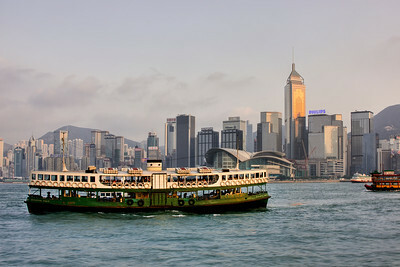 This is the Star Ferry crossing a quite choppy Victoria Harbour in Hong Kong, China. 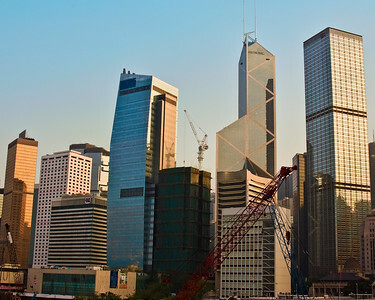 This is such a fantastic skyline - I felt very much at home in Hong Kong, not really sure why, but I'd quite like to visit again one day. 2008. 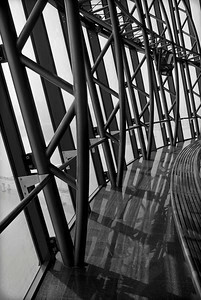 Some interesting lines, emphasized by the black and white conversion. This is the Macau Tower in China, 2008. 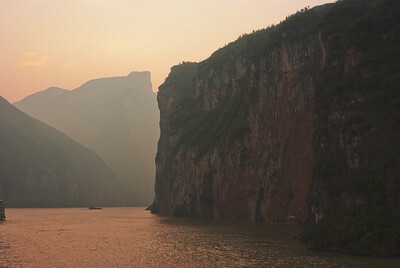 The sheer faces in the Three Gorges Reservoir are simply breathtaking. 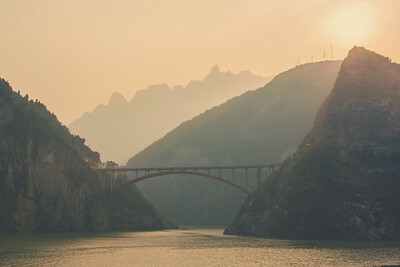 I would image, though, that it was all the more impressive a sight when then Yangzi River water elevation was much much lower before the construction of the dam. 2008. 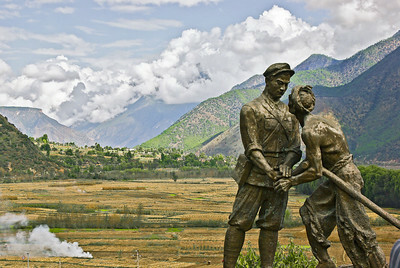 This is the village of Shigu, which is located near the First Bend of the Yanzgi, deep in Yunnan Province. This was an interesting stop for us as we climbed in altitude up the to the Tibetan plateau in 2008. Plying your trade in the old Chinese markets on the Tibetan Plateau cannot be pretty or very rewarding. 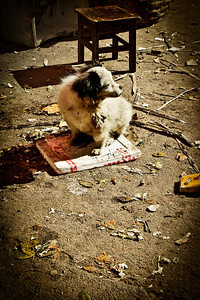 Conditions are poor by western standards, and I can imagine that it was no picnic for this dog. 2008. An opportunist shot, looking straight down on a street market in Downtown Hong Kong, 2008. 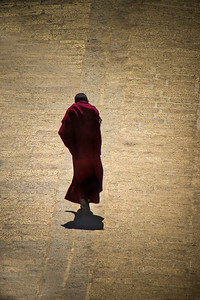 A lonely monk goes about his duties at the 17th century Ganden Sumtsenling Monastery, near Shangri La on the Tibetan Plateau. 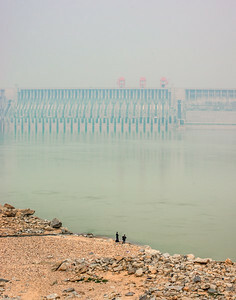 China, 2008. An almost deserted corner of the Forbidden City in Beijing, China, 2008. 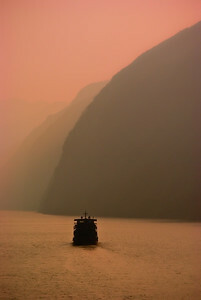 Following another cruise ship as we meandered our way through the Three Gorges Reservoir during a very pleasant sunset in 2008. You've just go to look at the people in this image to get a sense of the immense raging torrent flowing right before our eyes. 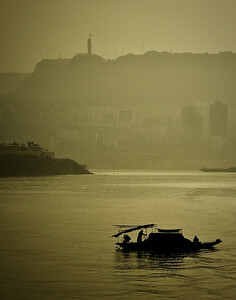 This is the Yangzi River, in as an intimidating a state as I have seen. 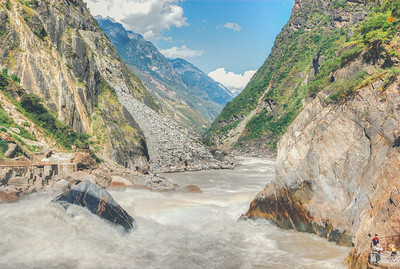 Tiger Leaping Gorge in Yunnan. 2008. 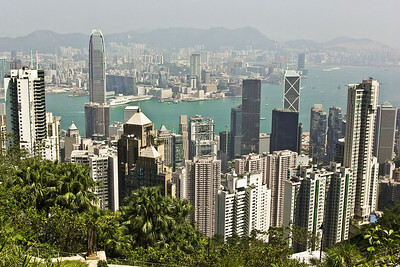 I love this shot of the cliff train in Hong Kong at Victoria Peak. 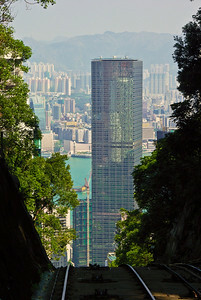 Mainly because the curvature of the rails gives some kind of indication as the steepness of the funicular railway and the perspective added by the glass towers. 2008. 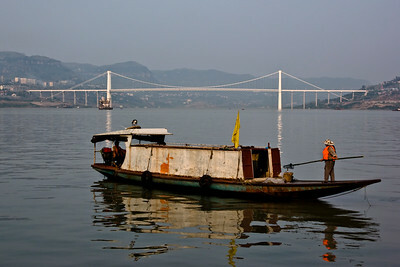 I think I may have gotten a shot of this same sampan when we cruised away from Wanzhou. 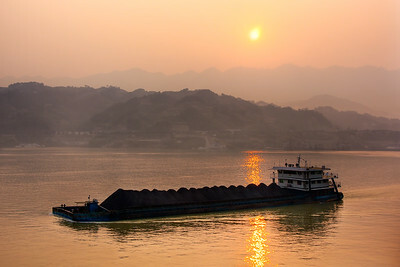 This shot was taken from the jetty looking downstream on the Yangzi, in a city that was being moved up the hill to make way for the Three Gorges Reservoir, China. 2008. 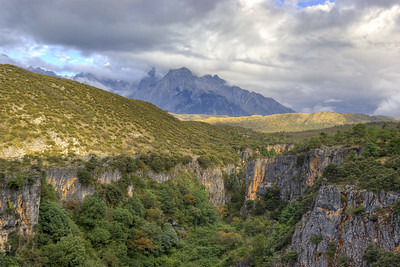 This is a shot of the Jade Dragon Snow Mountain. I took this shot after quickly instructing our driver to "stop quickly" as we headed up from the city Lijiang, 2008. I was surely not going to miss such a photographic opportunity, but our huddle did get used to my last minute photo-ope requests!. One of the great aspects of our trip through China was that we go to see a number of remote villages that were apparently untouched by western influences. 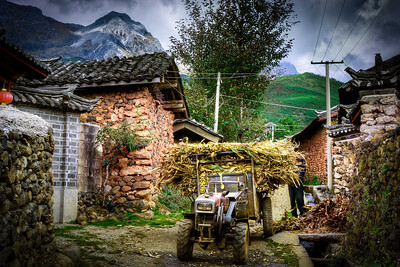 This one such village, called Yuhu, which was just outside Lijiang in Yunnan Province, 2008. 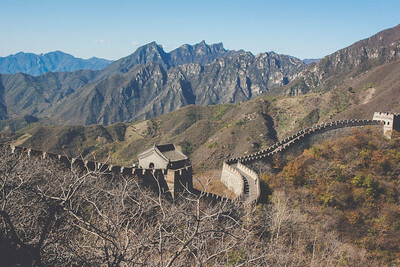 It's difficult to get a shot of the Great Wall of China that no-one has ever seen before, and certainly to get one in the correct lighting conditions given that we were in full tourist mode. But some of my shots were keepers, nonetheless. 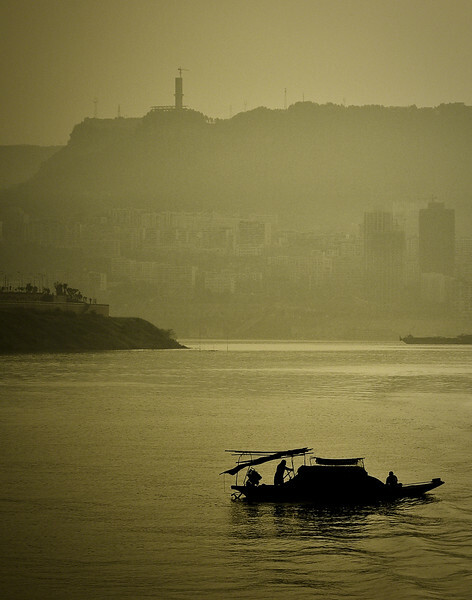 Beijing, 2008. One of my greatest experiences in life was catching the sunrise in the Three Gorges Reservoir. We were up at 6am, it was cold, and I struggled to get motivated on the deck of our cruise ship. But the sight was very rewarding. 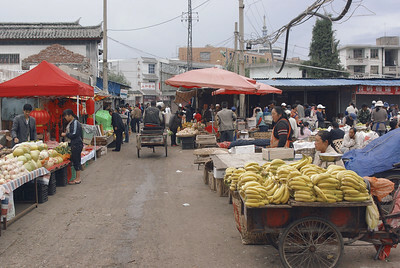 China 2008. 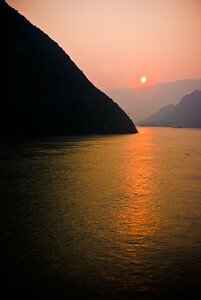 A silhouetted view of the laters of hill sides that rise out of the waters of the Yangzi River, part of the Three Gorges Reservoir, China, 2008. 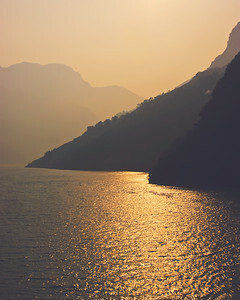 Lovely view of the sunset light glistening on the waters of the Three Gorges Reservoir, on the Yangzi River, 2008. 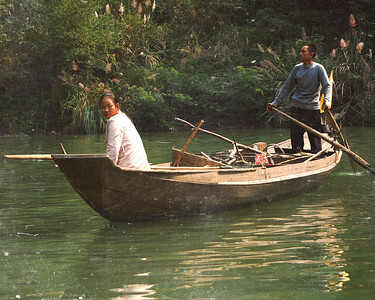 A distressed image of the Shennong Xi Boat people, who worked hard to navigate and lead us on our tour of this Yangzi River tributary., 2008. 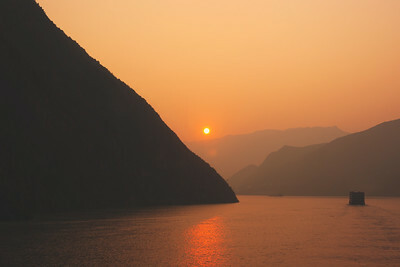 Another sunset view of the approaching to the Three Gorges dam at sunset, China, 2008. 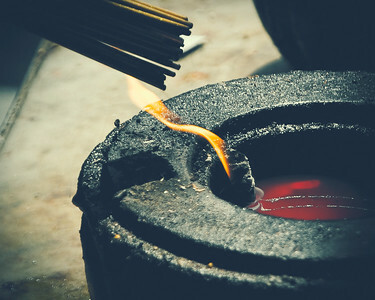 One thing we saw a lot of in China was temples, and they were all interesting in their own right, but it was nice to see some differentiating sights and artifacts, such as this incense flame in Macau, 2008. The markets in this part of China were very basic, but a real treat for photographers, giving you the chance to capture Chinese life untouched by western influences. This was in Lijiang, China, 2008. 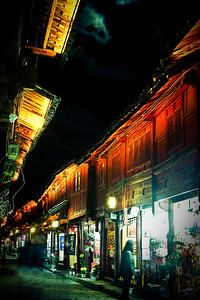 I liked Lijiang a lot - a real mix of quaint and the nondescript urban landscapes in deepest China. 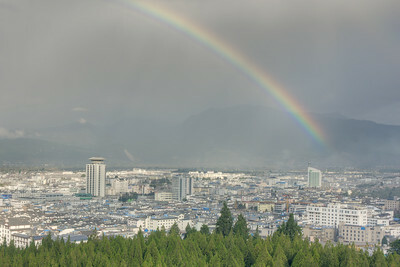 This shot was taking looking north over this Yunnan Province town, happily catching a rainbow. 2008. 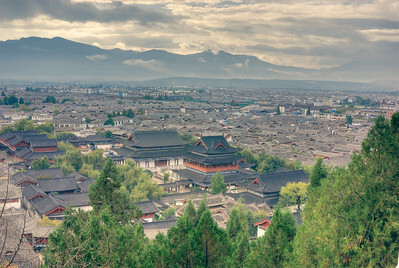 A view looking over the UNESCO World Heritage Site rooftops, stretching towards the more contemporary part of Lijiang City in Yunnan Province, China, 2008.